A leader suddenly leaves. Earnings fall flat. Competition out-innovates your team. Growth slows and getting to the next level seems impossible. Your outside lender / sponsor wants another set of senior eyes. CRL provides experienced executives to assume management roles, including the role of Chief Restructuring Officer, CEO, CFO, or COO on an interim basis as the need arises. At a moment’s notice, our seasoned professionals will work with your executives to build a strong and focused team. As CRO for the Gloucester Company, a mid market manufacturer of high end caulk that had lost its direction and was heading for liquidation with zero return for the shareholders, we accepted the challenge that lay ahead. A year later the Company was sold to DAP and the shareholders took home high seven figures. The excellence of our work was recognized by the company and by the leaders of our industry. 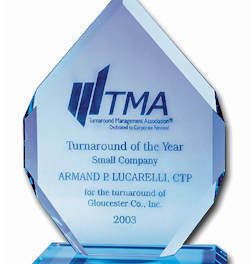 We received the coveted “Small Company Turnaround of the Year” award from the Turnaround Management Association (TMA). They define small company as an enterprise of under $50 million in revenue. This renowned medical practice found itself in financial turmoil. Their attorney / board member recommended talk to CRL about joining them on an interim basis to solve the issues. 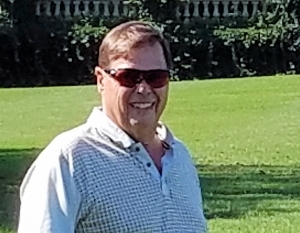 CRL was hired as interim COO. We worked to empower the staff, set and outlined strategic goals and objectives, oversaw all non-medical operations and negotiations with outside hospitals, service providers, professionals, and headed the search for a permanent COO. Upon completion of the assignment which was about six months the practice was operating more efficiently, profitably, with a solid strategic direction. We handed off a solid operation to a permanent COO who continued to build this business. This Canadian public company operated in the logistics space from Canada to Latin America. At the urging of their Investment Banker they engaged CRL as interim CFO. The company financial department was months behind, the company was in a cash bind, the lenders were stressed and employee moral was waning. The company expanded into five Latin American countries within twelve months overtaxing its internal resources. CRL brought a degree of professionalism and lead a team in resolving the reporting issues. Our work resulted in the manufacturing and distribution being moved to a trade free zone in Latin America, saving millions.